Do fog lights light fog? They’re not supposed to. So I decided to find out, unscientifically. Top photo is the headlights. Bottom photo is a single fog light. It’s a Kinby selective yellow, with H1 style bulb, so not the best fog light out there, but I was interested in seeing if the glare was cut down. I took all photos on a tripod, with manual settings so the camera wouldn’t compensate for exposure or color temp. 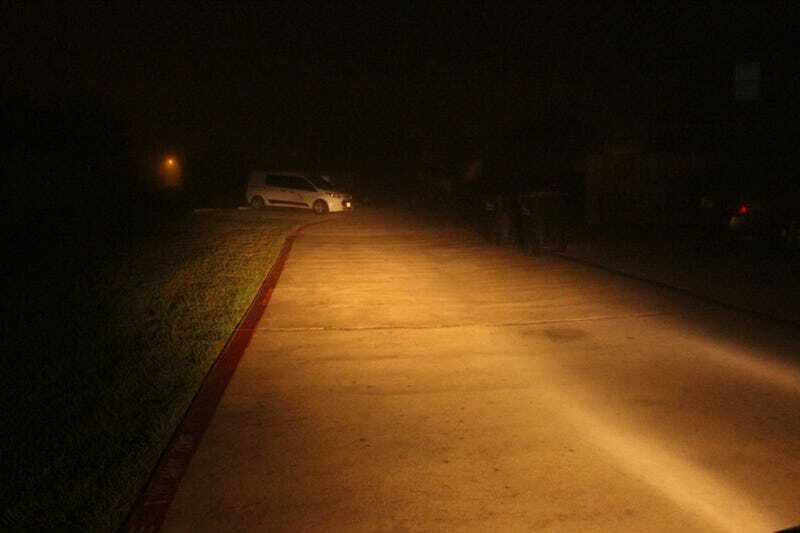 The low beams shoot a narrower, higher beam, while the fog light shoots a lower, wider beam. The point of fog lights is they’re lower mounted and lower aimed than headlights so the fog reflects less of the light back to the driver. The width is to help the driver see the curb even when going around corners. The top photos definitely show the difference in beam, but what about glare? Doesn’t look that different. But the photos were taken from outside the car... not from inside - directly behind the lights. So if we put the camera in the driver’s seat? Desaturated for easier comparison of values... the headlights produce noticeably more light scatter, this is visible in the “sky” and also is how much more light is actually being reflected back onto the hood of the car. There is an issue here in that I have a single fog, and two headlights, but even so I don’t think a pair of fog lights would create as much scattered light or “glare” as the headlights. Also have to add, despite the theory behind it, I don’t think the selective yellow lights glare less than “white” lights. They seem about the same to me. Most of the magic of fog lights seems to be from their lower mounting and wider spread. Thanks for wasting your time reading this.